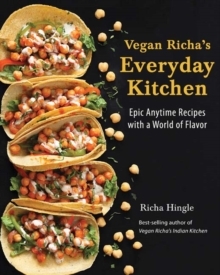 In her second book, bestselling author Richa Hingle applies her culinary skills to international comfort foods. These unique recipes are easy to make and have an astonishing depth of flavor. 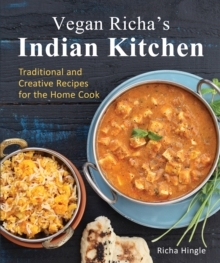 Enjoy Richa's wow factor in these curries and masalas as well as pizzas, casseroles, sweet-and-sour dishes, Asian noodles, and the next generation of plant-based burgers. You will also find chapters devoted to flavor-packed sauces, soups, sandwiches, breakfasts, sweets, and more, including: One-Pot Peanut Butter Noodles, Spinach Curry Fried Rice, Crispy Orange Cauliflower, Buffalo Chickpea Pizza, Manchurian Noodles, Chickpea Chilaquiles, Samosa-Stuffed French Toast and Salted Date Caramel Pie.Within these pages, you will find helpful techniques and mix-and-match ideas that will inspire creativity and provide stunning meal combinations. You will find this book to be indispensable in your kitchen, and the recipes will appeal to both vegans and non-vegans alike.